La Congregation pour les Instituts de Vie Consacrée et les Societes de Vie Apostolique présente un nouveau chapitre dédié aux consacrés et aux consacrées parce qu'ils soient témoins de l' Evangile parmi les nations. 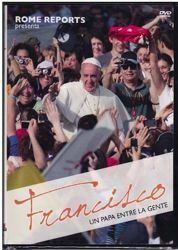 The most complete list of every diocese and bishop in the world, all Roman Curia offices and their personnel, the diplomatic corps at the Holy See, the world’s religious orders, pontifical academies and universities. 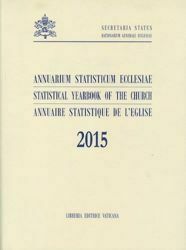 Annuario Pontificio 2018: The most complete list of every diocese and bishop in the world, all Roman Curia offices and their personnel, the diplomatic corps at the Holy See, the world’s religious orders, pontifical academies and universities. 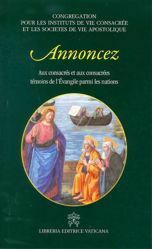 Texts in English, Latin and French. 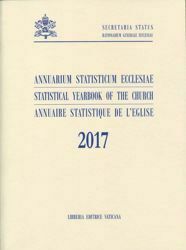 The Central Office of Statistics of the Church proposes the study updated to December 31, 2017 with the distribution of Catholics in different geographical areas, in relation to the different demographic weight of each continent. The statistics provide an overview of the Church in the world and concern the members of the Church, pastoral structures, activities in the health, welfare and education. In parentheses, the variation, increase (+) or decrease (-) compared to the previous year is indicated. La Congregación para los Institutos de Vida Consagrada y las Sociedades de Vida Apostólica presenta un nuevo libro dedicado a los consagrados y consagradas porque sean testigos del Evangelio entre las gentes. 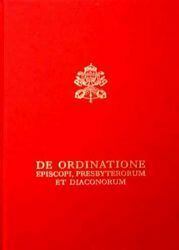 Messale Romano Maggiore (Missale Romanum). Nuova ristampa 2018. 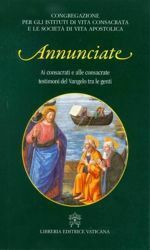 Messale grande con Orazione per la Preghiera dei Fedeli. Proclaim - To consecrated men and women witnesses of the Gospel among people. 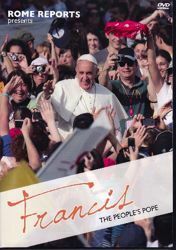 The congregation for Institutes of Consecrated Life and Societies of Apostolic Life publishes a new book dedicated to consecrated men and women because they are witnesses of the Gospel among people. 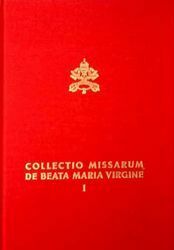 Collectio Missarum de Beata Maria Virgine / Lectionarium pro Missis de Beata Maria Vergine (Vol. 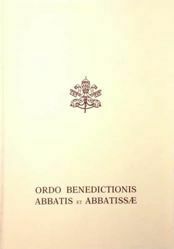 1 - 2). 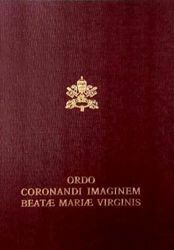 Libreria Editrice Vaticana.